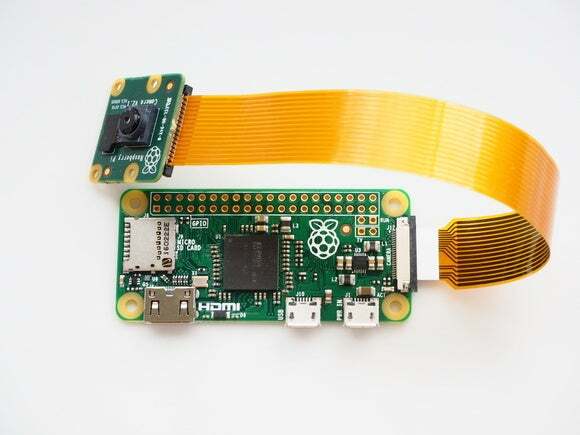 Now you can do even more with the Raspberry Pi Zero thanks to the addition of a camera connector. Even on something as space constrained as the Raspberry Pi Zero there’s still room for improvement. 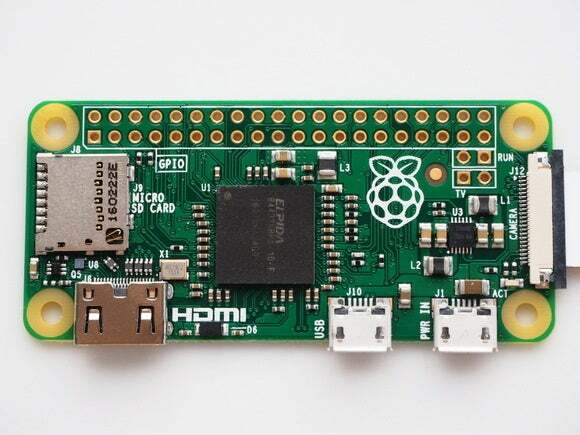 The Raspberry Pi Foundation recently announced a hardware upgrade for the Raspberry Pi Zero that adds a camera connector to the $5 mini-PC. The connector will allow hobbyists to add camera functionality to Zero projects like high-altitude balloons. There’s also a new six-inch adapter cable for the actual camera-to-board connection. Raspberry Pi founder Eben Upton said a camera connector was the most “frequently demanded” feature addition for the Zero. “Through dumb luck, the same fine-pitch FPC connector that we use on the Compute Module Development Kit just fits onto the right hand side of the board,” Upton said in a blog post on Monday. The Raspberry Pi Zero v1.3. It appears the addition of a camera connector was not only the result of “dumb luck” but also low expectations. Upton said the foundation was surprised at how high the demand for the diminutive Zero was. When the Zero rolled out in November Upton says all Zero units sold out quickly from their distributors. Every copy of issue 40 of MagPi—the Foundation’s magazine—also sold out, as each copy came with a free Pi Zero. Still in demand, the Zero had to take a “production hiatus” as the Foundation built up stock for the Raspberry Pi 3 release in late February. During that down time the Raspberry Pi team figured out how to add the camera connector to the Pi Zero. The impact on you at home: Anyone interested in a Raspberry Pi Zero v1.3 can check out distributors such as Adafruit or Micro Center retail locations. You may be out of luck, however. Upton says there are about 30,000 Zero v1.3 units available worldwide right now. If you can’t get one in this first run, Upton says there will be “thousands more” produced each day until demand tapers off.